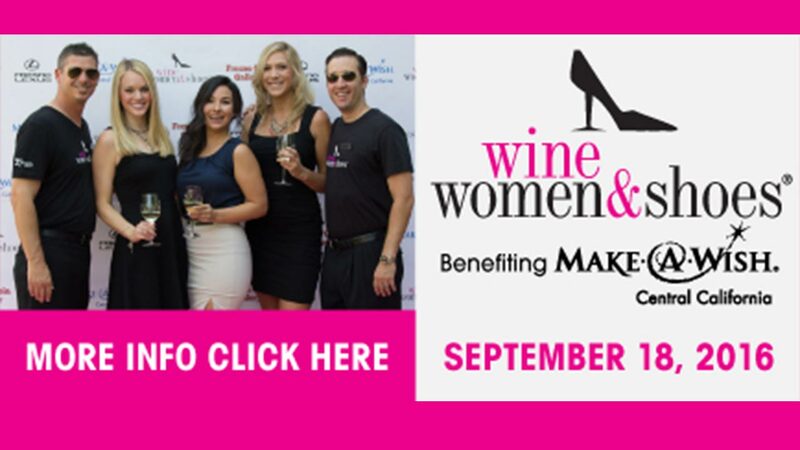 Sip, savor and shop at this fun event benefiting Make-A-Wish Central California. Bring your girlfriends and join us for an afternoon of wine and food tasting, boutique shopping. Adorable Shoe Guys will be dishing up must-haves on silver platters. Your ticket will help support Make A Wish Central California on its mission of granting wishes to local children with life-threatening illnesses. Action News anchor Graciela Moreno will emcee the festivities!